Source: Anonna Dutt, Hindustan Times, New Delhi. By the end of September first week, Delhi has reported 284 cases of dengue, the total cases from Delhi and NCR raised to 771 and Chikungunya has crossed 550 cases. Delhi has reported 128 new cases of chikungunya and the total has reached 560 cases in this monsoon season. Dr DK Seth, municipal health officer said that “It’s not an outbreak but an unusually high number of cases because of high pool of people infected and low immunity, as people in Delhi have not been exposed to the infection”. Chikungunya is not endemic in Delhi, but, the high number of cases i.e. 412 cases were registered in a single week. 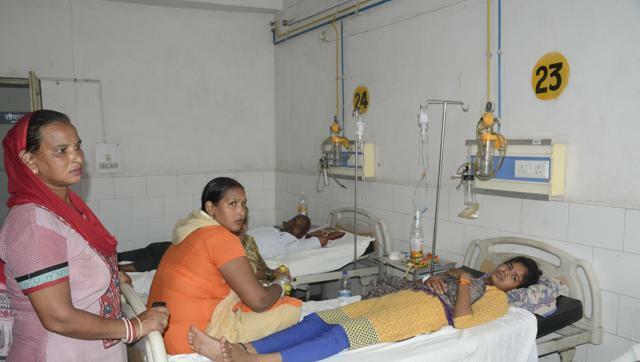 Compared to this, 1,259 cases were reported by the civic body during the same period last year, when Delhi witnessed its worst dengue outbreak that affected almost 16,000 and killed 60. There has been a sharp increase in the number of dengue cases. Only 29 new cases were reported in the week that ended on July 30, 57 new cases in the week ending on August 13, 83 new cases in the week ending on August 20, and 176 in the week ending on and 284 this week.